The application for Scholarships for Women is open January 14-March 1. Apply online today HERE! 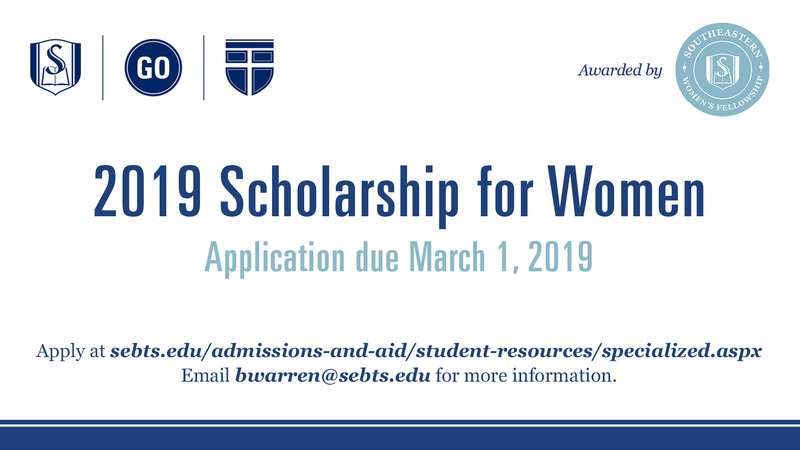 For more information contact Becca Warren, bwarren@sebts.edu. Awards are given by the Southeastern Women’s Fellowship.